Looking for that extra piece of the puzzle—a bit of additional support or added stimulation? We offer a myriad of enrichment programs for all points of the educational journey. We often hear from parents concerned that their children may be lacking some of the core skills critical for academic and personal success. These parents recognize their children’s potential and know that, with the proper supports in place, they can overcome any obstacles and achieve their goals. Likewise, we also hear from parents of high-achieving students who want to ensure that their children are sufficiently challenged in their intellectual and academic development. These parents know that, with appropriate engagement, their children can continue to excel and take their learning to the next level. Our Back to Basics and Beyond (BtoB+) K-8 Math & English programs have been especially designed to consolidate and extend foundational skills. We liaised closely with parents in developing each program, taking into account students’ individual strengths, needs and goals. The BtoB+ programs emphasize remedial support in addressing learning gaps, solidify existing skills and knowledge and offer an enriched opportunity to develop new skills for the future. Programs are designed to support students from Kindergarten to Grade 8.
persuasive, critical and creative writing, with an emphasis on all steps of the writing and revision process. synthesis of mathematical understanding, focusing on reasoning skills and the communication and application of mathematical thinking in different contexts. Back to Basics and Beyond (BtoB+) is designed as an ongoing program with sessions scheduled at the discretion of the client, offering both flexibility and convenience. Each program also involves the purchase of curriculum materials specially designed to optimize learning outcomes. The Writers Workshop is ideal for students who need additional support in the fundamentals of effective composition and in mastering the various stages of the writing process. Students consolidate their understanding of grammar and language conventions, analyze the stylistic and rhetorical strategies of different textual forms and experiment in crafting their own compositions in a number of different genres. Particular attention is given to the many stages of the writing process, from initial brainstorming and development of ideas through research and analysis to the composition of first drafts and the final steps of revision. The workshops are offered at three levels—Junior, Intermediate and Senior—and are tailored for students in Grades 7/8, 9/10 and 11/12, respectively. Workshops are scheduled during the months of July and August. Each workshop runs over the course of four weeks and includes 16 hours of instruction in small classes of no more than three students. Please call for more information on exact scheduling availability. The Readers Book Club is an excellent opportunity for students to become more enthusiastic and critically engaged readers. Over the course of the program, students read a selection of literary works, including short fiction and at least one full-length novel. In collaboration with their peers and with the support of a tutor, students refine their skills in analyzing the style, tone, and structure of the works under study. In addition, they engage with the various elements of literature, including setting, characterization, theme and language. Students ultimately become more confident in their ability to “unpack” the big ideas presented in a text and to engage in detailed analyses of key passages. As with the Writers Workshop, the Readers Book Club is offered at three levels—Junior, Intermediate and Senior—tailored for students in Grades 7/8, 9/10 and 11/12, respectively. Book Clubs are scheduled during the months of July and August. Each club runs over the course of four weeks and includes 16 hours of instruction in small classes of no more than three students. Please call for more information on exact scheduling availability. While those long summer days provide much-needed opportunity for fun and relaxation, they can also leave students ill-prepared for the rigors of a new school year. Indeed, as September approaches, many students find that they have “forgotten” key concepts and are less confident in applying their academic skills. Our Back to School Reboot programs are especially designed to address these learning challenges and ensure that each student begins the school year primed for success. We offer reboot programs from Kindergarten up to Grade 8, with each program focusing on either math or language skills. All reboots involve a comprehensive review of the previous year’s curriculum, with a special focus on addressing any “trouble spots” that may hinder success in the coming year. Our tutors are especially trained to reach back as much as they reach ahead: They work with each student in consolidating past and existing knowledge, remediating skill deficits and extending the learning in anticipation of the coming year. Many students even use some of their reboot time to get a head start on next year’s curriculum! All Back to School Reboots include 20 hours of one-on-one tutoring that can be scheduled at your convenience anytime during the month of August. As well, each student, at the conclusion of his or her Back to School Reboot program, will receive a summative study plan that identifies areas for improvement and makes strategic recommendations for future learning. The Junior Math Boosters are carefully designed to support high school students at different points in the secondary mathematics curriculum. Each booster has been developed with two goals in mind. The first goal is to guarantee that students have sufficient mastery of the previous year’s curriculum to support next year’s learning. The second goal is to introduce students to the concepts and skills they will encounter in the upcoming year, giving them a jump start on the learning ahead. The Junior Math Boosters are tailored for younger students in Grades 9 and 10. The Grade 9 Booster supports the unique needs of students entering secondary school. The program begins with a comprehensive review of the Grade 8 mathematics curriculum; if needed, our tutors also reach further back to address skill deficits that may have accumulated over the years. In our experience, this type of remediation is crucial for success in high school mathematics. Following the review component, students transition into next year’s curriculum and finish the course with a strong foundation for the coming year. The Grade 10 Booster follows a similar structure, consolidating knowledge from the first year of the secondary mathematics curriculum and introducing many of the core principles and skills taught in Grade 11. The Junior Math Boosters are scheduled during the months of July and August. Each booster runs over the course of four weeks and includes 16 hours of instruction. Please note that Forest Hill Tutoring does not coordinate group classes; any clients interested in the small-group option will need to liaise independently with other interested students. The Senior Math Boosters support older students entering their final two years of high school. The Grade 11 Booster targets students who may need to revisit elements of the Grade 9 and 10 mathematics curriculum. Grade 11 is a notable transition point in the mathematics pathway and constitutes a significant “step up” in terms of the rigor of the material and overall expectations. 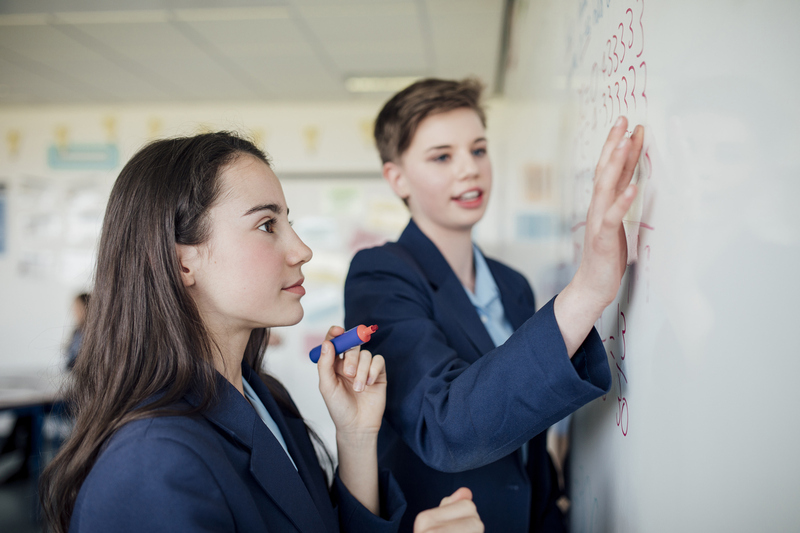 As such, students are best positioned for success when they have a very solid grasp of the material taught in the first two years of the secondary mathematics program. As with the Junior Math Boosters, the Grade 11 Booster also familiarizes students with principles and skills to be introduced in the coming year. The Grade 12 Booster ensures that students enter their final year of high school equipped with the skills and knowledge they will need to succeed. Grade 12 is, of course, a significant year that prepares students for the upcoming demands of post-secondary study. Furthermore, unlike in previous years, some students, depending on their post-secondary plans, may have to take multiple mathematics courses. It is thus crucial that learning gaps be addressed prior to the beginning of this critical year. We offer three boosters at this level, each corresponding to one of the three university preparation math courses in the Grade 12 curriculum (Advanced Functions, Calculus and Vectors and Mathematics of Data Management). Depending on a student’s interests and plans, he or she may choose to take one or more of these booster programs. The Senior Math Boosters are scheduled during the months of July and August. Each booster runs over the course of four weeks and includes 20 hours of instruction. Please note that Forest Hill Tutoring does not coordinate group classes; any clients interested in the small-group option will need to liaise independently with other interested students. The March holiday offers an excellent chance to “fine tune” your child’s learning in a particular subject area and ensure that he or she is on track to succeed in those critical final months of the school year. Like our popular Back to School Reboot program, the Spring Break Tune-Up offers a comprehensive curriculum review that identifies and remediates the learning gaps that may have developed over the course of the previous months. In addition, tutors work closely with students in reviewing the remaining term’s work and in establishing a clear learning plan that will help them prepare for final evaluations and exams. All Spring Break Tune-Ups include 10 hours of one-on-one tutoring that can be scheduled at your convenience anytime during the scheduled March Break holiday.